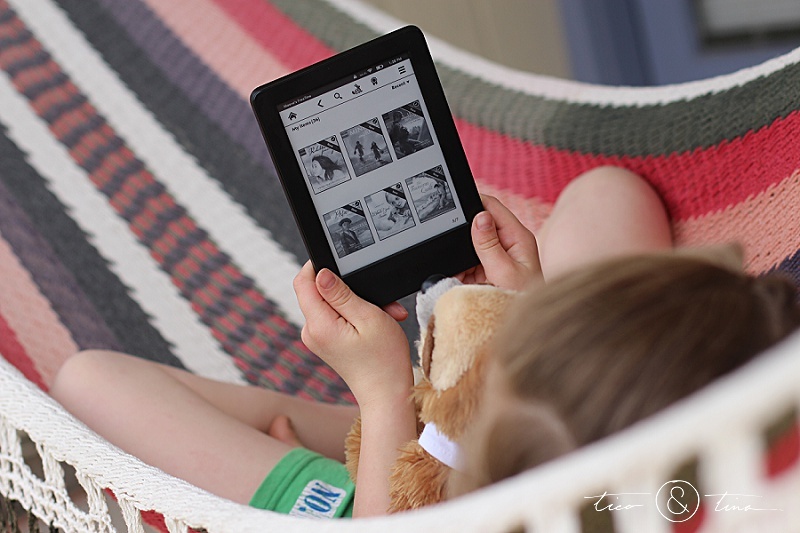 It’s no secret that reading is incredibly important, from improving writing, spelling, and vocabulary, to aiding and increasing imagination and creativity, but 21% of adults in the U.S. read below a 5th grade level enter Amazon FreeTime Unlimited ! Reading opens up all kinds of doors that many of us take for granted. I don’t think it’s coincidence that 63% of prison inmates can’t read. I was blessed with a family who valued reading pretty highly. Going to the library used to be a favorite family activity, and some of my happiest childhood moments were spent with a book in one hand and a bowl of popcorn in the other. This is a big reason I’m especially excited to add Amazon FreeTime Unlimited into our homeschooling tools. It gives us easy access to hundreds of age-appropriate chapter books and early readers, with no due dates or late fees! Up until now, the main tool we’ve used to encourage reading is the annual Book-It program that I grew up loving as well. 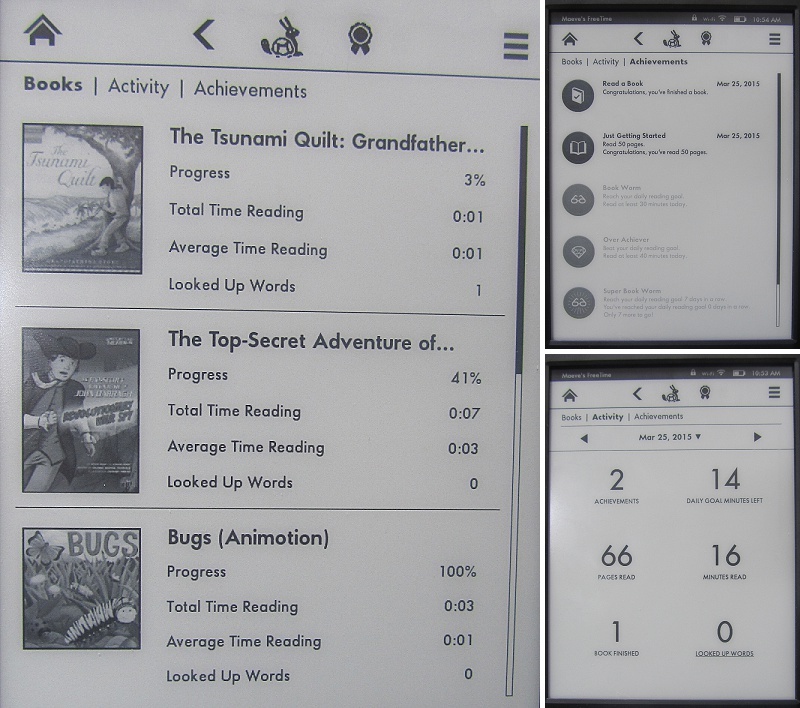 Now that we’re also using Kindle FreeTime, I love that I can create personalized profiles for our kids and that it’s so much easier to track their reading. FreeTime makes it simple to set reading goals and check progress reports to see how much they’ve read, what words they have difficulty with, and what badges they’re earning. One of my favorite features is the Vocabulary Builder. Kids can look up words in the books they’re reading just by tapping on them, and those words are stored for you to see and to build a set of flashcards they can quiz themselves with until they’re mastered. 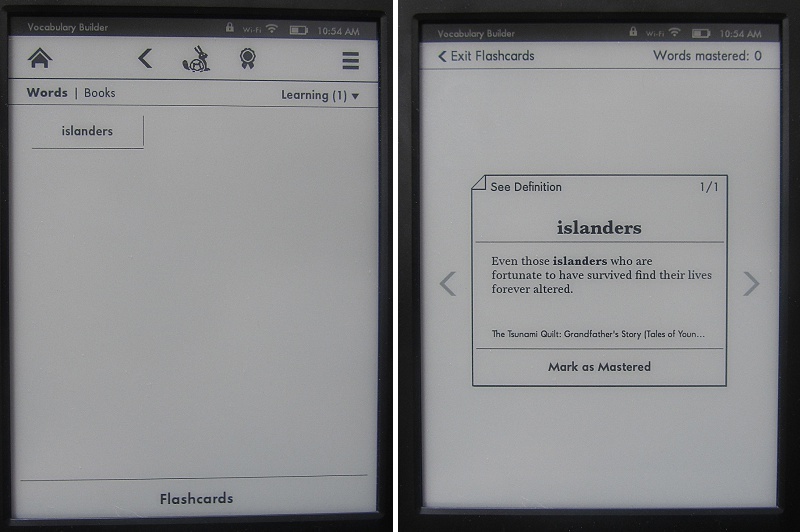 We have a simple Kindle e-reader, and honestly, I’m not a fan of looking through things in black and white, so I was eager to go online to pick out books to put on the kids’ reading list. It turned out to be a lot harder to figure out how to do that than I anticipated, but my brother finally found a link somewhere. is basically the FreeTime directory I guess you could call it. 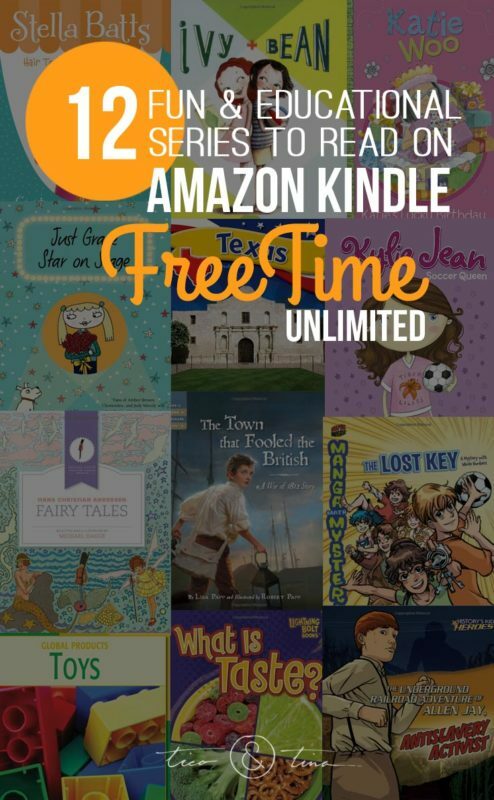 The features on Amazon FreeTime Unlimited vary depending on your device, including access to over 5,000 kid-friendly books, games, educational apps, movies, and TV shows. Maeve is the one doing more of the reading right now, so that’s why the latter part of the list is more girl-oriented, but boys may like them, too. She’s going to be reading to Maverick more, I’m sure. 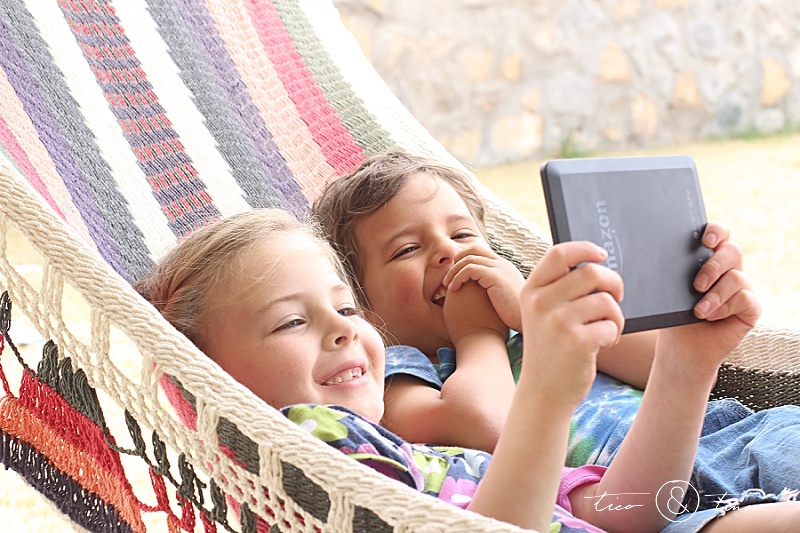 We’re so thankful that Kindle FreeTime Unlimited simplifies our access to loads of great books no matter where we are! 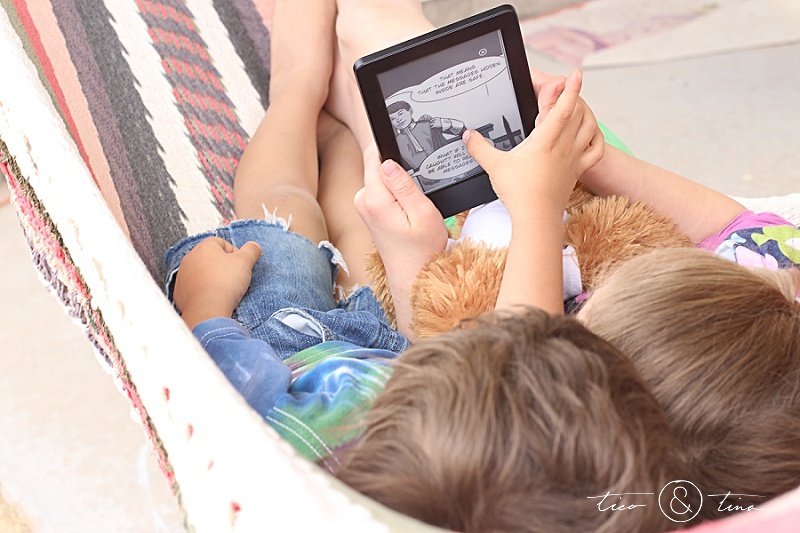 , just add the FreeTime app on the kindle to it to track your kids’ reading, and check out Amazon FreeTime Unlimited for access to all the awesome extras! Don’t have an Amazon tablet ? 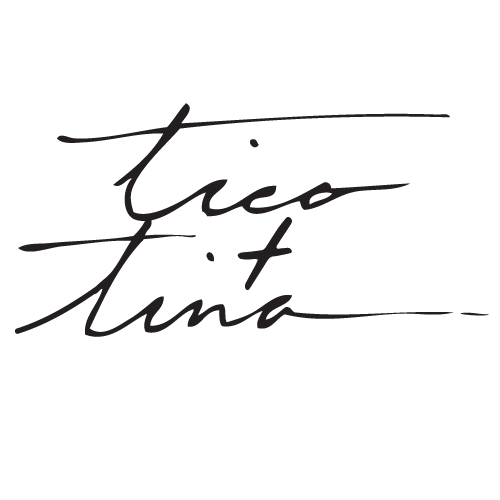 Check them out, the price to quality ratio is amazing!